Tom Flores has four Super Bowl rings. Four. And he is not a member of the Pro Football Hall of Fame. George Seifert and Jimmy Johnson are the only other coaches with two Super Bowl wins who have not been inducted. Flores compiled an 83-53 regular season record as head coach of the Oakland/Los Angeles Raiders from 1979 – 1987. He went 8-3 in the postseason. Often comparison with contemporaries becomes a standard by which candidacy is measured. John Madden, Flores’ predecessor, went 103-32, won one Super Bowl and he is a member. Marv Levy, who coached 17 years with the Chiefs and the Bills, made four Super Bowl appearances, but never won one, is a member. Bud Grant, who won an NFL title in 1969, but never won a Super Bowl, is a member. Flores entered the American Football League as a free agent in July of 1960 when he signed with the fledgling Oakland Raiders shortly before the start of the team’s inaugural training camp at Santa Cruz High School. The former College of the Pacific quarterback, who had kicked around California’s central valley playing semi-pro ball, tried to catch on in the Canadian Football League and with the National Football League’s Washington Redskins. But an injured shoulder waylaid his professional football aspirations. 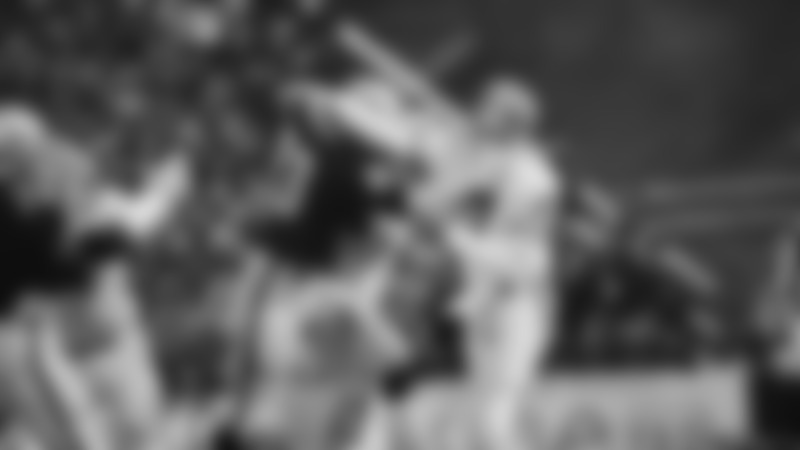 After getting a call from the then-Oakland Senors in April of 1960, Flores took the next few months to rehab his shoulder and get ready to play and signed with the team in July. On September 11, 1960, Flores became the first starting quarterback in Raiders history, and the first Latino starting quarterback in pro football history, as Oakland fell to the Houston Oilers, 37-22, at Kezar Stadium in San Francisco. Flores’ first touchdown pass as a professional was a 13-yarder to running back Tony Teresa that came in the second quarter. It was the first of 93 career TD passes. From 1960-61, and 1962-66, Flores saw action in 84 games with 64 starts and completed 810 of 1,640 pass attempts for 11,635 yards and 92 scores. He still ranks seventh all time in passing yards in franchise history. 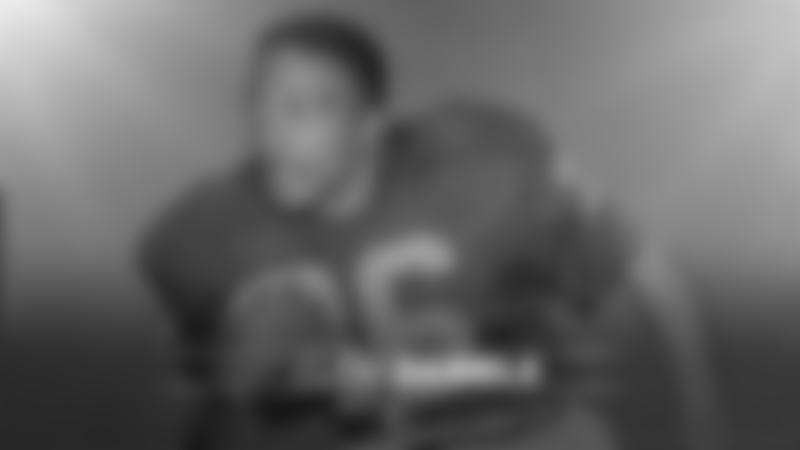 The Fresno, Calif.,-native missed the 1962 season with a bout of tuberculosis. 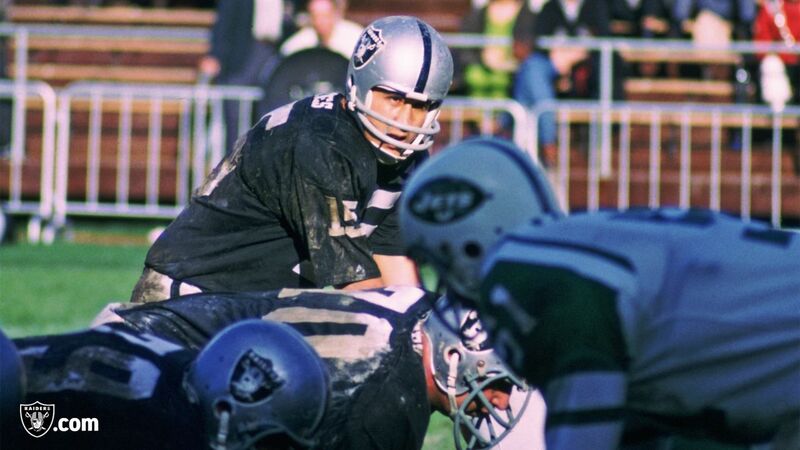 After Flores’ first Pro Bowl selection in 1966, he was sent to Buffalo in the deal that brought quarterback Daryle Lamonica to Oakland in April of 1967. After playing more than two seasons with the Bills, Flores finished his playing career with the Kansas City Chiefs and was a member of the Chiefs’ Super Bowl IV Championship team. He got into coaching as quarterbacks coach with the Bills in 1971, and later joined the Raiders coaching staff as receivers coach in 1972. 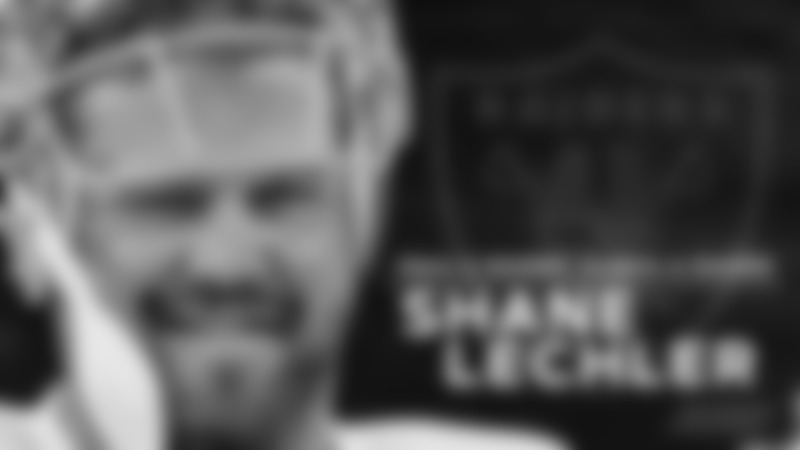 He won his second Super Bowl ring as an assistant with the Raiders in Super Bowl XI after the 1976 season. 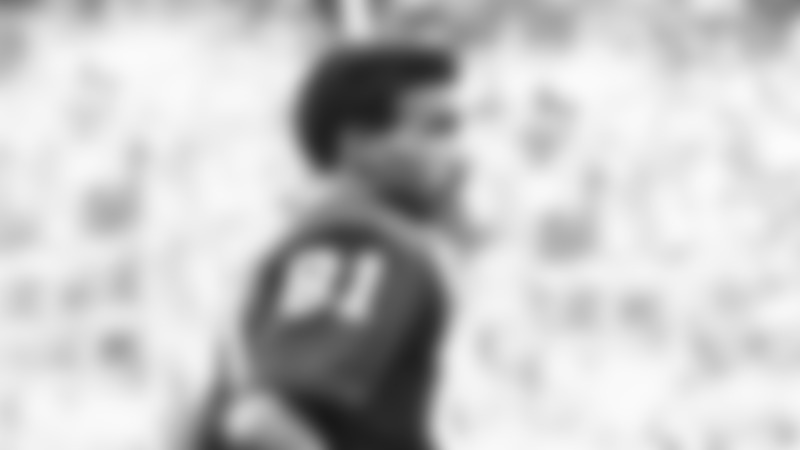 In 1977, Flores coined the phrase “Ghost to the Post,” while communicating with the sideline during the Raiders 1977 AFC Divisional Playoff win over the Colts in Baltimore. When Hall of Fame Head Coach John Madden retired after the 1978 campaign, Flores was promoted to head coach in 1979 at age 42. During his tenure, Flores was a steadying hand through two work stoppages (1982 and 1987), the Raiders’ move to Los Angeles (1982), and led the Silver and Black to five playoff appearances and two Super Bowl titles. After guiding the team to a 9-7 record in 1979, Flores weathered the storm of losing starting quarterback Dan Pastorini to a broken leg in Week 5 of the 1980 season and installing former Heisman Trophy winner Jim Plunkett at the controls of the offense. The team earned an 11-5 record and a Wild Card playoff berth. The Raiders went on to become the first Wild Card team to win a Super Bowl as the Silver and Black defeated the Philadelphia Eagles 27-10 in Super Bowl XV. Flores became the first Latino head coach to win a Super Bowl, and quarterback Jim Plunkett became the first Latino starting quarterback to ever win one and was named the game’s Most Valuable Player. In 1982, the team moved to Los Angeles and before they could play their first home game, a work stoppage halted the season. When play resumed, the Raiders hosted the San Diego Chargers on Monday Night Football and overcame a 24-0 halftime deficit to win 28-24 in one of the greatest comebacks in franchise history. In 1983, Flores led the Raiders to a 12-4 record and the AFC West title. The Silver and Black won their second Super Bowl title in four years with a 38-9 win over the defending champion-Washington Redskins in Super Bowl XVIII. After retiring from coaching in 1987, and a year with the Raiders’ organization, Flores became the first Latino team president in pro football history when he became team president and general manager of the Seattle Seahawks in 1989. He coached the Seahawks from 1992 – 94. He joined the Raiders radio broadcast as a color commentator and analyst in 1997 and served in that capacity until 2017. His overall regular season coaching record stands at 97-87. Eleven members of the Hall of Fame played under Flores, 10 with the Raiders and another with the Seahawks. In 2011, he earned the Roberto Clemente Award for Sports Excellence from the National Council of La Raza. In 2012, Flores was named to the Bay Area Sports Hall of Fame. In 2017, Flores was awarded the National Trailblazer Award from the League of United Latin American Citizens. It has been said that one of the measures of Hall of Fame worthiness is if you can’t tell the story of pro football without that individual. You cannot tell the story of pro football without Tom Flores. Borges echoed that sentiment in 2015. His accomplishments as a head coach alone qualify him. But, when you add it all together – his trailblazing playing career, four Super Bowl rings, front office executive, and accomplished analyst – Tom Flores no doubt belongs in the Pro Football Hall of Fame.